It feels like I’m forever making birthday cards for men. I’m looking forward to Mother’s Day for an opportunity to make some feminine cards! This time it’s birthday cards for my dad and grandad, whose birthdays are on the same day. I kind of left these to the last minute so I needed some quick simple makes! I love using washi in my cards. It almost justifies how much money I spend on new rolls. I like the brown and kraft cardstocked used here to really frame the card. Sadly, the washi started peeling away from the card at the ends so I had to glue it down. This really is a simple card but a great idea for future cards using up my scraps! 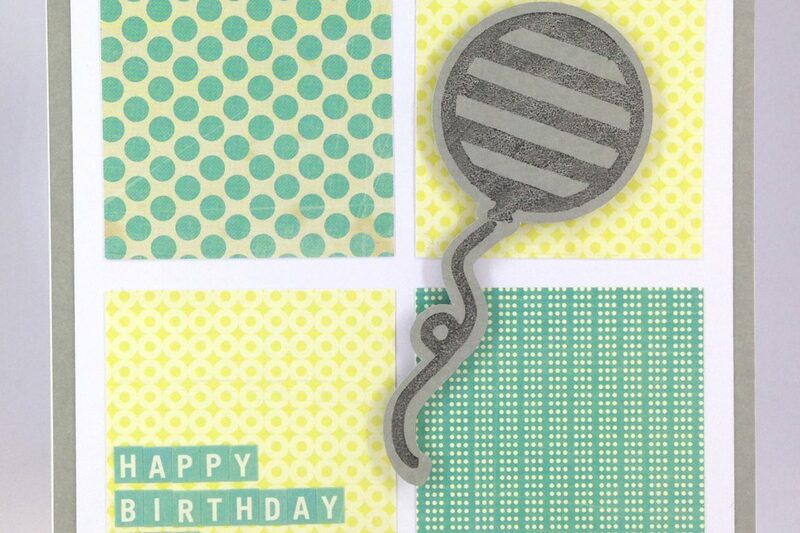 I love the colour combination here and the balloon was stamped using the stamp I made using my Silhouette. I’m sure I say this every time but I do miss card making. I probably should have made it a resolution to make more cards this year… maybe that can be my half year resolution?